Like fan mail addressed to the natural world, Everyday Amazing is filled with uplifting and interesting musings on science from Beatrice the Biologist. Beatrice the Biologist is an easily amused former high school biology teacher with a soft spot for the mind-blowing science we encounter daily that we often take for granted. 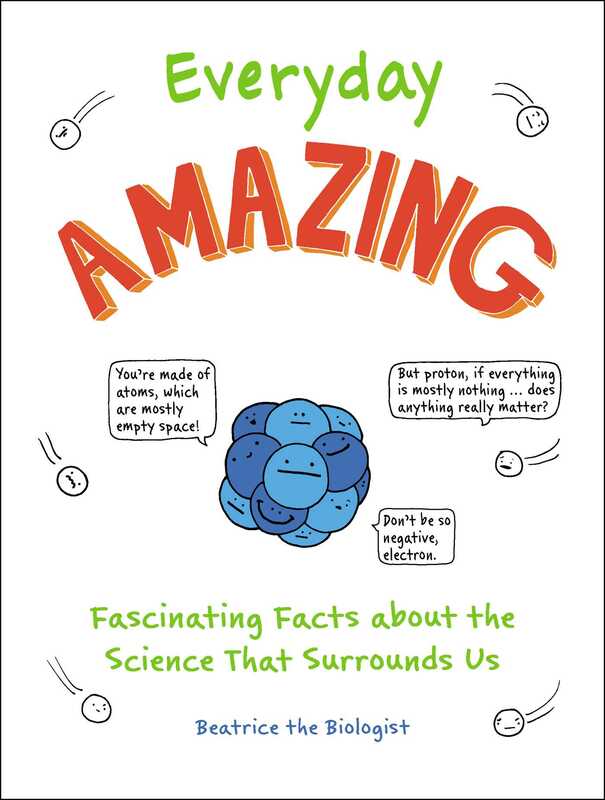 In Everyday Amazing, she shines the spotlight on ten different types of amazing everyday scientific facts in short chapters full of fun and fascinating tidbits bound to both entertain you and expand your horizons! Learn the basics of atomic science, sound waves, bioscience, microbiology, and more in accessible chapters offering a fresh perspective on concepts you may have learned about, but aren’t totally clear on. Quirky illustrations throughout add to the fun! Fall in love with science with Beatrice the Biologist in Everyday Amazing! Katie McKissick is the author and illustrator of Beatrice the Biologist. A former high school biology teacher turned all-around science communicator, Katie has worked for NASA’s Jet Propulsion Laboratory, the Natural History Museum of Los Angeles County, and the University of Southern California. Katie also cohosts the irreverent science podcast, Science Brunch. You can find her work at BeatriceBiologist.com.